This last weekend was a little bit crazy because our hot water tank broke on Friday night and gushed water all over the garage. LJ came home from a friends house within minutes of it happening and asked me why a river of water was flowing out from under the garage door. At that moment I opened the garage door and looked out and sure enough there was a raging river running out of the bottom of the hot water tank. Luckily for me I have plenty of home improvement experience so I started looking for the water key Colt keeps on the wall of the garage but I couldn't find it anywhere but LJ found an adjustable wrench while I was on the phone with Colt. LJ and I headed down to the street while I was trying to explain what needed to happen to turn the water off. I am still surprised he was able to turn the water off with the wrench and when I found him he was looking like he was dying laying on the sidewalk. I don't think he moved for the next ten minutes. He then started sweeping out the water and trying to clean up as much as possible in the garage. Thankfully Colt showed up with a new hot water tank and found the water key on the wall hanging next to the fire extinguisher, the only place I didn't happen to look. Thankfully nothing really got damaged other then some old shoes and one box! 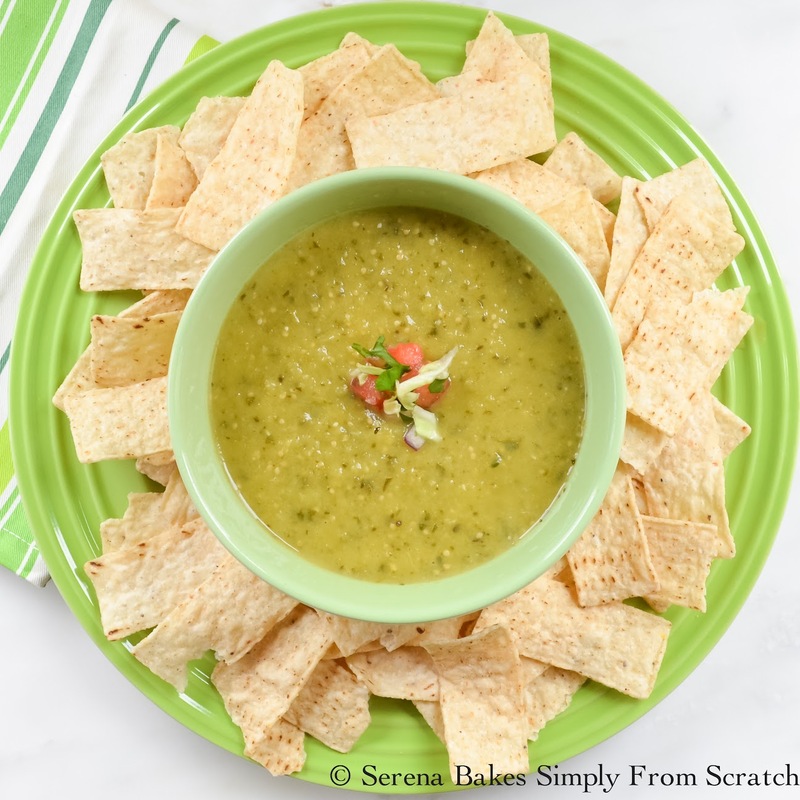 I figured to celebrate all this craziness we should have Salsa Verde and Chips because all that craziness deserves a celebration! Salsa Verde is so easy to make and perfect with chips or over the top of enchiladas for Enchiladas Verde. Another Mexican Food fav in our house! On a large baking sheet combine 2 pounds Peeled Tomatillos, 1 Seeded and Stem Removed Poblano Pepper, 2 Seeded and Stem Removed Jalapeños, 4 cloves Peeled Garlic, 1/2 Large Onion Quartered. Drizzle with 1 tablespoon Olive Oil and 1/2 teaspoon Sea Salt. Cook for 15 minutes and then turn. 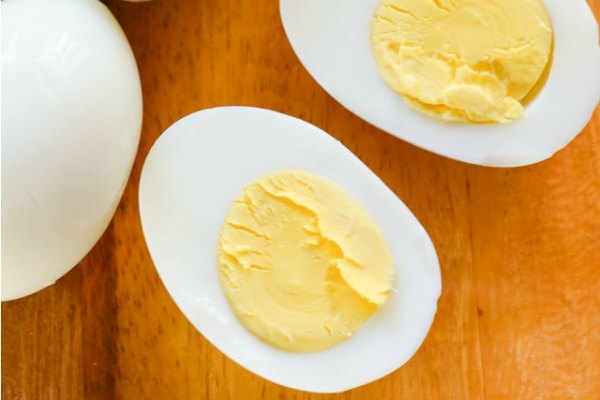 Bake for another 15 minutes or until lightly brown and softened. Place all the roasted veggies into a blender with Juice of 3 Limes, 1/4 teaspoon Granulated Garlic and 1/4 teaspoon Cumin. Pulse until slightly broken up. 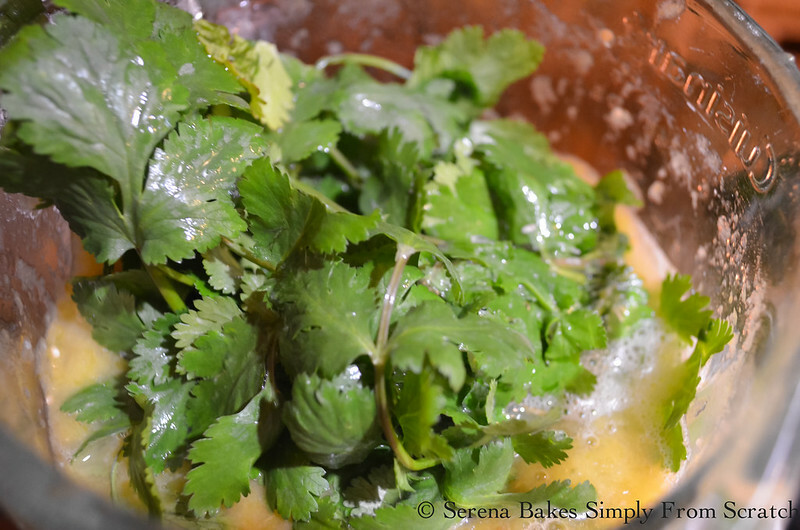 Add 1 large handful of Cilantro and pulse until slightly chunky or smooth dependent on how you like your Salsa Verde. Taste Salsa Verde and add additional Salt and Pepper to taste. Serve with your favorite chips or use to make Enchilada's Verde. 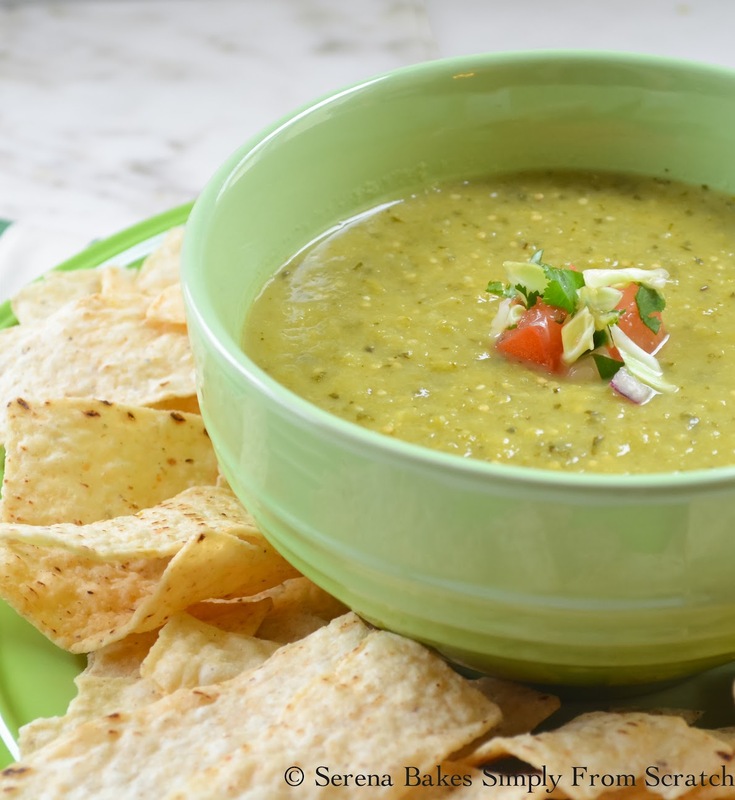 Salsa Verde is delicious with chips or used to make Enchiladas Verde. 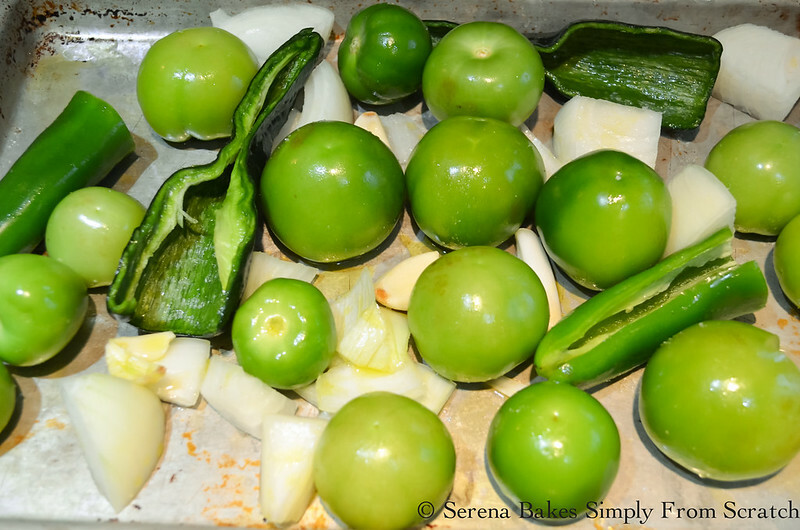 Mix together tomatillos, poblano pepper, jalapeno, garlic, olive oil and sea salt until well combined. 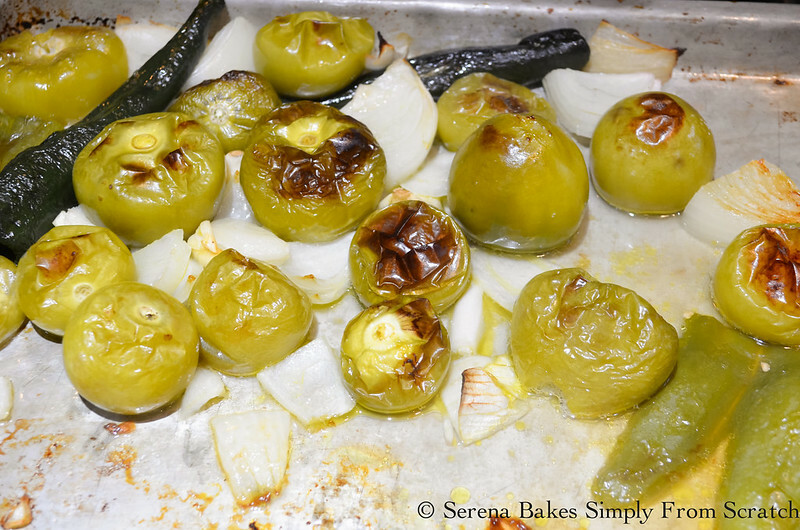 Spread tomatillos evenly on a baking sheet. 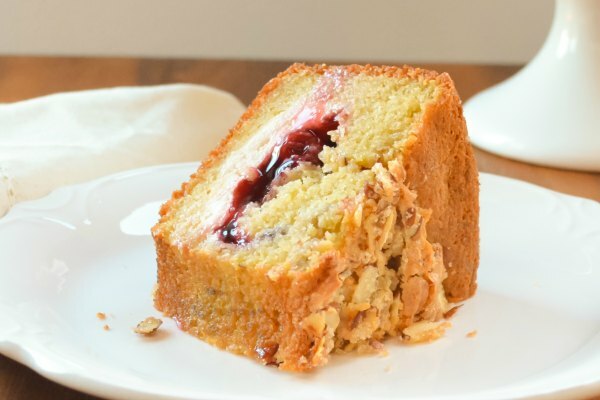 Bake for 15 minutes and then turn. 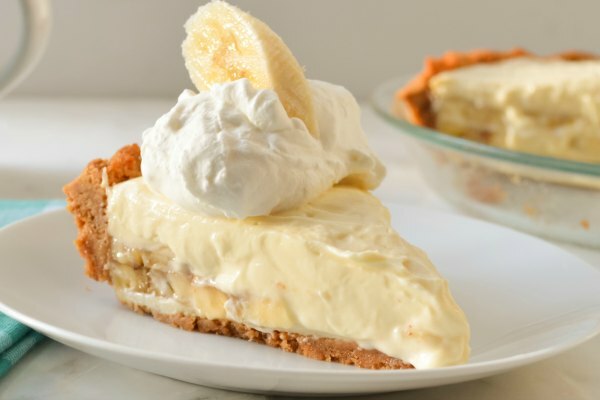 Bake an additional 15 minutes or until lightly brown. 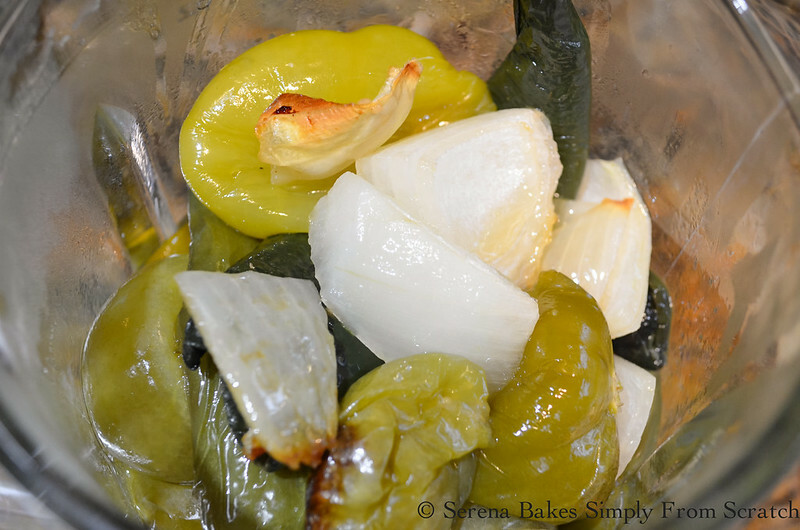 Place baked vegetables, lime juice, granulated garlic and cumin into a blender. Pulse until slightly broken up. Add cilantro and pulse until desired consistency is reach. Chunky or smooth.